This office building is located on NW 24th Street just west of NW 2nd Avenue, immediately adjacent and connected underground to East End’s Wynwood 25 project. The property sits at a premier “main-and-main” location, across from Panther Coffee, Coyo Taco and KYU. 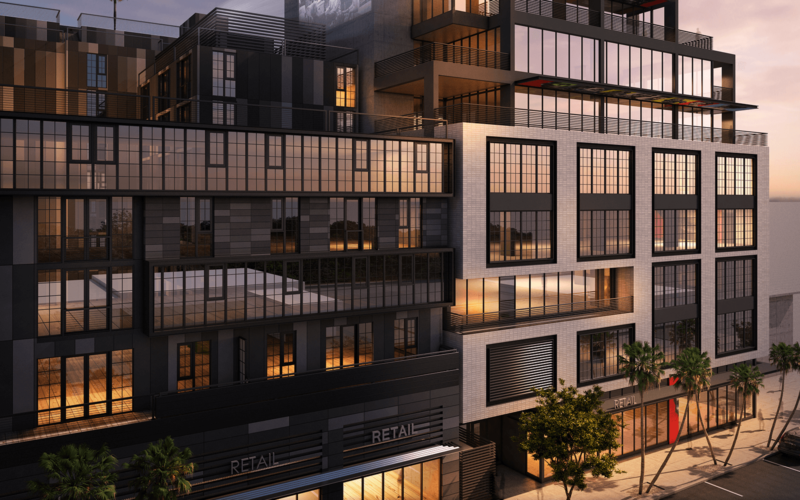 Now under construction, Wynwood Annex will be an eight-story, 60,000 square foot project containing 59,000 square feet of boutique office space and 6,000 square feet of ground floor retail. The offices will cater to start-up ventures, family offices and creative users, offering keyed entry on small floor plates with soaring exposed ceilings, and an abundance of private outdoor space. On-site parking is located below grade. The project has broken ground and will deliver in the first quarter of 2019.